Students learn about the elements of composition in photos. “Is this photo an example of the Rule of Thirds?” Kelly, the instructor of the week-long Foundations of Photography camp, asks the group of kids. She displays a photo of a person rowing a kayak at night, on a pristine lake. Any bystander would be able to tell that the photo is picture-perfect, but the kids are able to analyze the photo, looking for specific elements of composition like texture, lines, color, contrast, repetition, and other effects. Finally, one kid shouts out an enthusiastic “Yes!” and then explains why. Hosted at the Pittsburgh Center for the Arts, the Foundations of Photography camp is a week-long introduction to photography for students from ages 11-13 programmed by the Pittsburgh Filmmakers Youth Media. 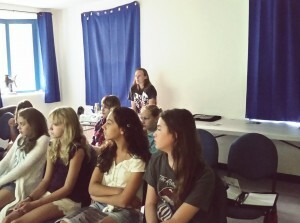 Kelly, the instructor, started the first day off with a presentation about the elements of photography. 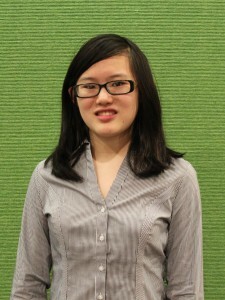 She describes composition elements, like the appearance of lines in a photo, and the effects it might have on the photo. For example, horizontal lines can often give the onlooker a sense of calmness or stagnancy, while vertical lines can create a sense of movement in a photo. Kelly also explains that color can be used to make a main subject stand out, while contrast can accentuate certain facial features or just make a photo aesthetically-pleasing. Regardless of the photo, however, Kelly stressed that the Rule of Thirds is present in almost every single one. After displaying each photo, Kelly then asked the group of students questions about each photo. Every student was fully engrossed in the lesson, answering questions and describing their own feelings and interpretations of the photo. Later, they went into a darkroom to process photos they had previously taken. Emily, one of the helpers for the camp, told me about the activities they had already done, as well as the activities they had planned later in the week, such as exploring the basic features of a camera, learning pinhole photography with a special emphasis on exposure, and learning how to shoot and develop photos by themselves. This hands-on experience allows students to apply what they have learned in the lesson into their personal photography. In addition to learning the basic skills and principles of photography, participants are able to log into the City of Learning website and earn digital badges for attending programs. For this particular camp, students can earn two badges: the Rule of Thirds and the Digital Photo Camera Operation Badge. Students, like 11-year old Isabella, are excited about the digital badges and plan to make an account on the City of Learning website. From learning what makes the perfect photo to processing photos in the darkroom, the Foundations of Photography camp provided students with a holistic, hands-on learning approach that was not only informative, but also “phun” at the same time! 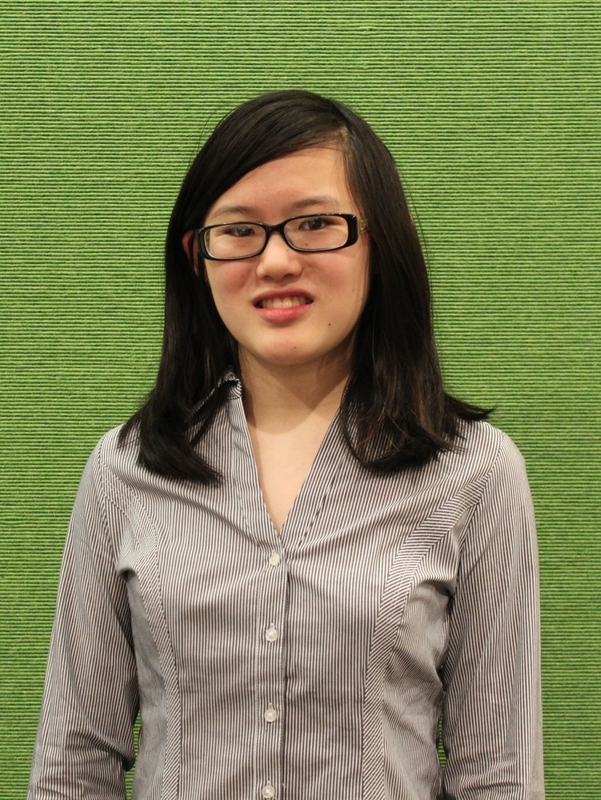 Stephanie Wang, a rising junior at Peters Township High School, is an avid writer and food enthusiast. Her past writing has been featured on The Almanac’s Youth Page, and she is currently the editor of Business Funnel.